Three friends, each from different countries and culture, yet we came together in friendship to share our love of food, life and the good ol’ USA. 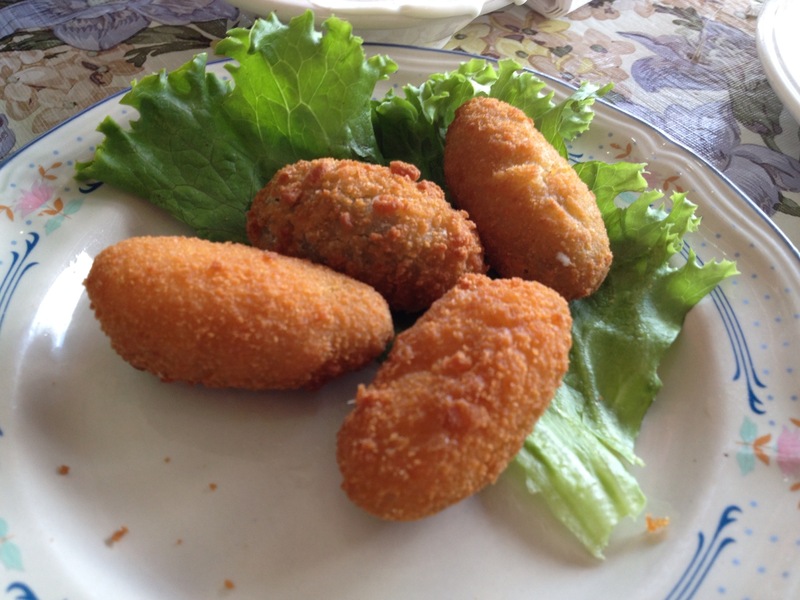 After our previous daytrip outings to sample Indian cuisine at Bombay Sizzler in Spring, Texas, and Filipino food from Sarap Pinoy Restaurant in Humble, Texas, the Three Foodies were up for some local East Texas fare. We may be in what people consider the southwest, but there’s plenty of southern cooking going on here, too! So we set the date, and off to Livingston we went. In less than one hour we were shopping at Downtown Treasures Antiques, while waiting to have a leisurely lunch next door at the Courthouse Whistle Stop! 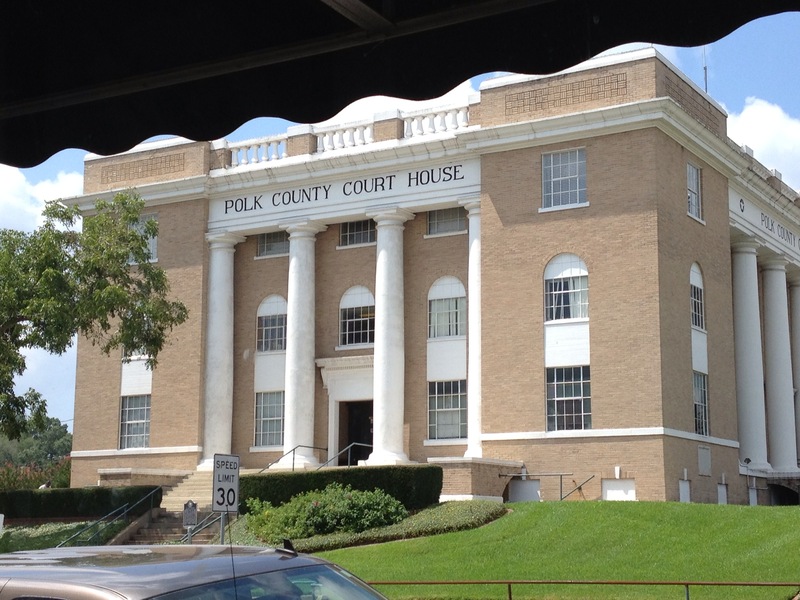 The Courthouse Whistle Stop is aptly named, as it sits directly across the street from the Polk County Courthouse in Livingston, and the railroad passes by the courthouse, as well. 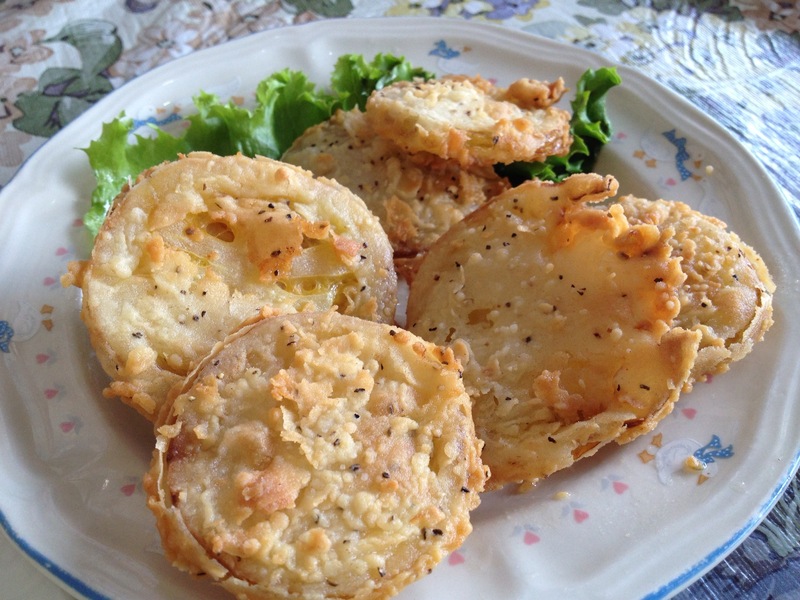 Their serving dishes are vintage plates and saucers, none of them matching, which lends to a very down-home, country feel. Joining us for lunch was a good friend from Onalaska, Nita. My vehicle was full of donations that were delivered to Nita to benefit a favorite local Onalaska charity, Kids’ Free Clothing Exchange (KFCE), which serves the clothing needs of struggling families from seven surrounding counties. So, today was a good day all around! 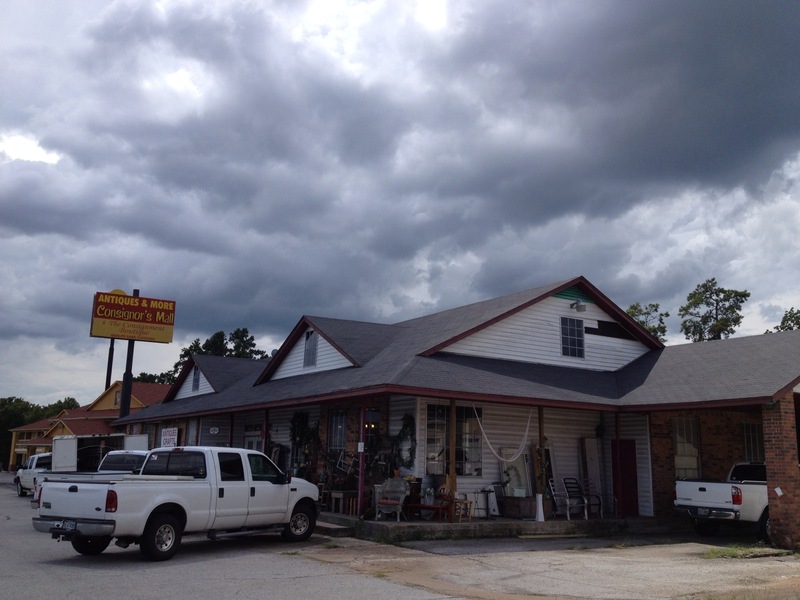 After lunch, the Three Foodies explored enticing antique stores along Highway 59-S to look for more “treasures.” We found trinkets, gems and more at Junk in the Trunk, West Lake Antiques and Antiques and More Consignor’s Mall. Arceli found a treasure — a sterling silver blue topaz ring, and for a very reasonable price. I had to drive back a few days later to buy the framed Egyptian papyrus that I spotted that day and should have bought, but didn’t. These things often happen when you’re antiquing or flea-market shopping. It’s all part of the adventure! On our way back, we stopped for dessert at the Happy Days Diner on S-59 at Shepherd. We were hoping for pie, but found cobbler instead! Arceli and I tried two: pecan cobbler and the blackberry one! Both were toppled with soft-serve ice cream! Shalni stuck with the ice cream. 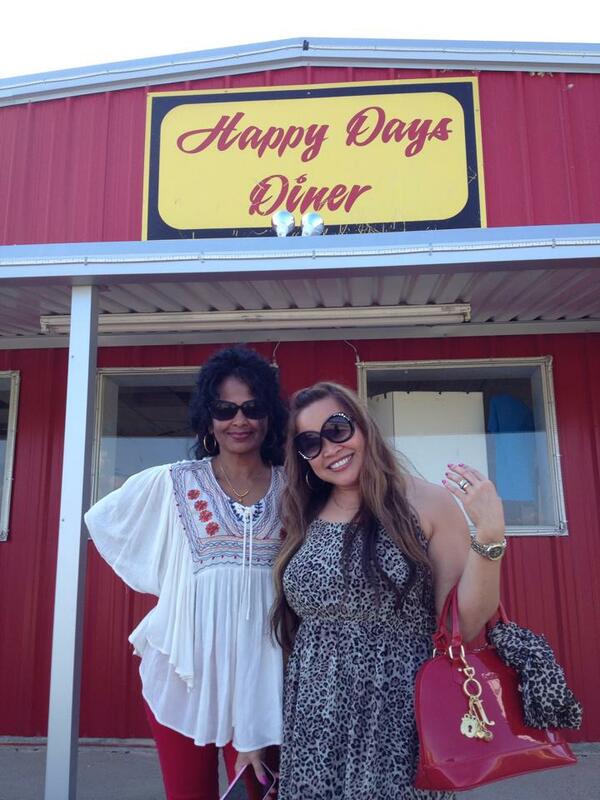 Shalni and Arceli are happy at Happy Days Diner in Shepherd, Texas. Another full day of shopping, fun, food and friendship! Now, we’re thinking about where to go next. 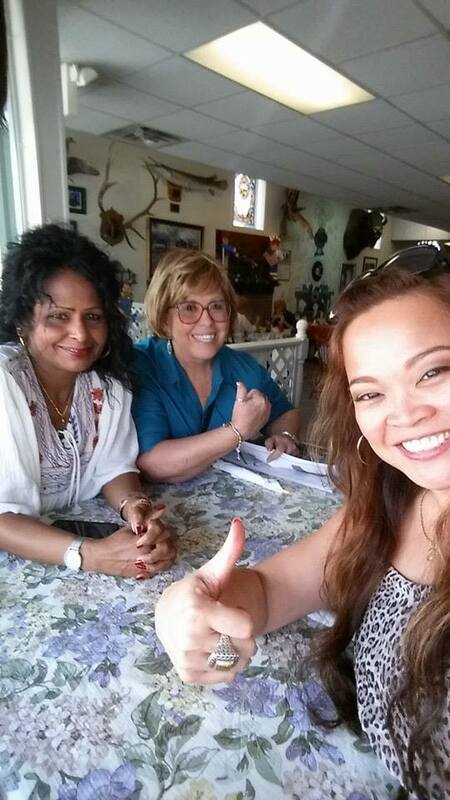 Shalni wants to take us for more Indian food in Houston – shopping, too, of course! 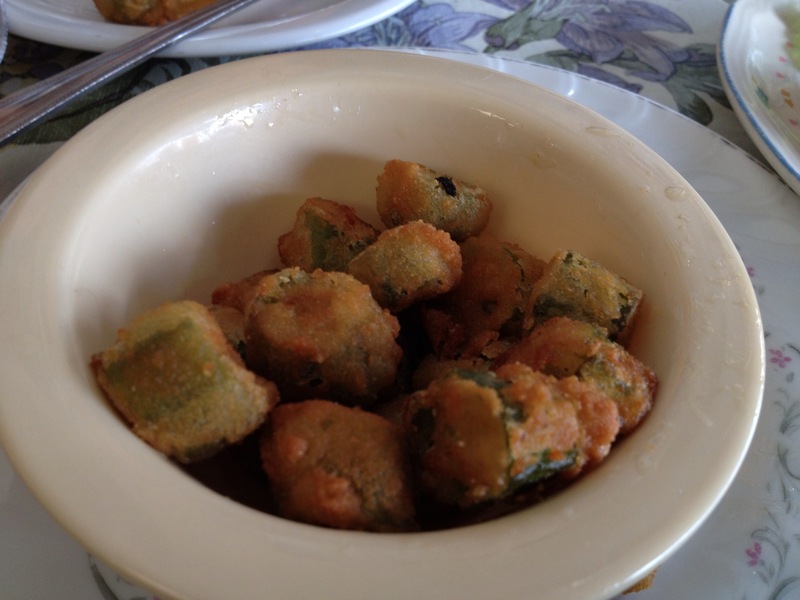 ← The Three Foodies search for Filipino Food!